The Big Idea: Historians and archaeologists describe historical events and issues from the perspectives of people living at the time to avoid evaluating the past in terms of today’s norms and values. I can describe the events and issues of the civilization we are learning about from the perspective of the people who lived in it. Athens and Sparta were the two major city-states that existed in ancient Greece... and are arguably the most famous! Both Athens and Sparta had certain aspects in common (throughout the history of ancient Greece they each had powerful militaries, they each experimented with different types of governments, etc) BUT they also had some differences when it came to values, beliefs and lifestyles. Use the websites listed to take notes that compare and contrast Athens and Sparta. Only use the websites I have listed to find the information you need. 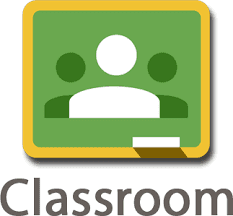 ​Go to Your Google Classroom and complete the Exit Ticket - Athens and Sparta.